Learn How to make Gajar Ki Kanji Drink using this super easy recipe. 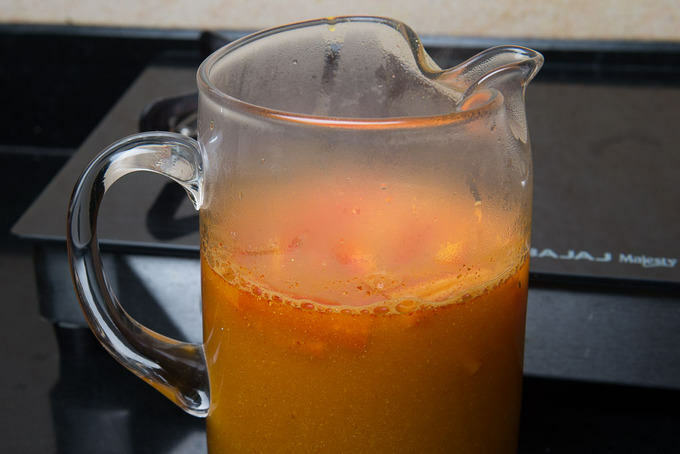 Gajar Ki Kanji recipe makes use of carrots in a very interesting way, as a delicious, spicy tangy fermented drink. It is a popular drink for Holi too. Here is how to make Kanji Drink Recipe (Step by Step + Video). Carrots are vegetables that are often used in salads, and although we know they are nutritious, we don’t incorporate them into our diet very often. 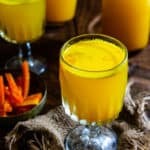 Carrots are also used in desserts like Gajar Ka Halwa, but this Gajar Ki Kanji or Kanji Drink Recipe makes use of carrots in a very interesting way, as a delicious, spicy tangy fermented drink. It can actually be called Indian Kombucha. India has a tradition of making fermented food like pickles, dosa and idli, curd etc and this Kanji Recipe is a great addition to the list. Kanji drink is often enjoyed as an appetizer drink and is a must make for Holi in our house. It’s super quick to make and all you need to do is to keep the jar in good sunlight for it to ferment nicely and get ready to be consumed. I like my drink chilled and so once it’s done, I refrigerate the jar for 5-6 hours before I serve it. Serve a few pieces of carrot along with the kanji in each glass. These pieces of carrots can be eaten while sipping and adds a lovely texture to it. Here is how to make Kanji Recipe. 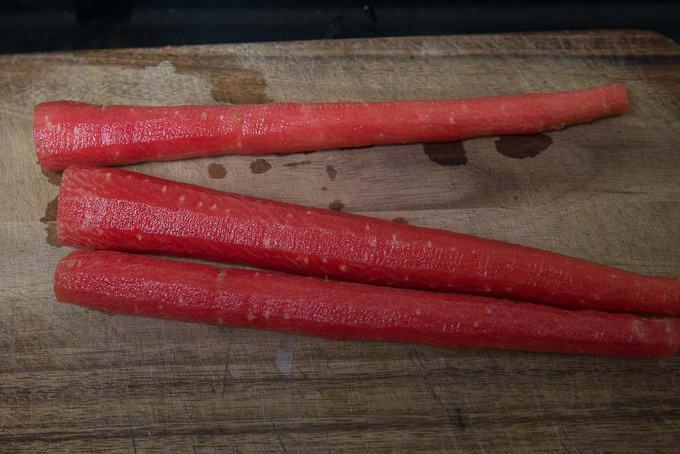 You can use red carrots, black carrots, sem ki phali or even turnip to make it however if making it for the first time, try to stick to red carrots. 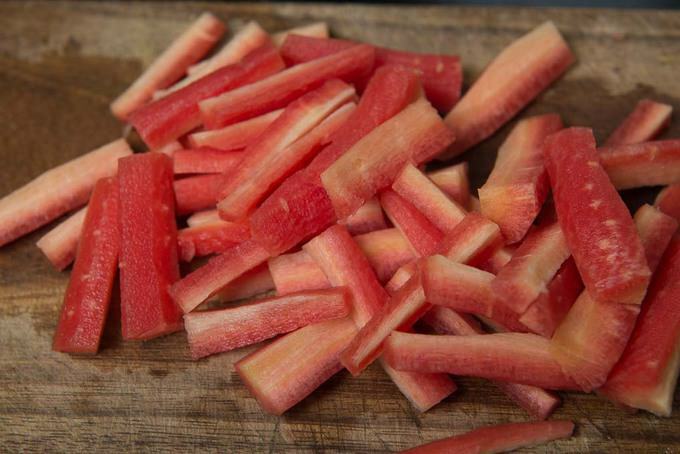 Adding a few slices of beetroot if using red carrots gives this kanji a very nice color. Make sure to shake the content of the jar everyday before keeping it in the sun. Consume the drink after 2-3 days when it’s ready. If kept for long, it looses it’s flavour. Make sure the jar in which you are fermenting the Kanji is absolutely clean. “One of the key claims for the health benefits of fermented foods is their contribution of live microbes – ostensibly “good” microbes – to the existing colonies in the gut. Collectively called the microbiome, these microbes exert powerful effects on our bodies; when they’re out of whack they have been linked with intestinal and bowel conditions such as ulcerative colitis and irritable bowel syndrome, immune disorders such as allergies and type 1 diabetes, and metabolism and metabolic diseases, including type 2 diabetes and obesity. They’ve even been linked with mental health disorders. Probiotics are live microorganisms – such as bacteria, yeasts and fungi – that in adequate amounts may have health benefits. Found naturally in some fermented foods, and also available in tablet form, studies have shown they can improve digestion, help protect against disease, and enhance immune function.” – Read more Here. Cut them into half inch thick and 2 inch long fingers. 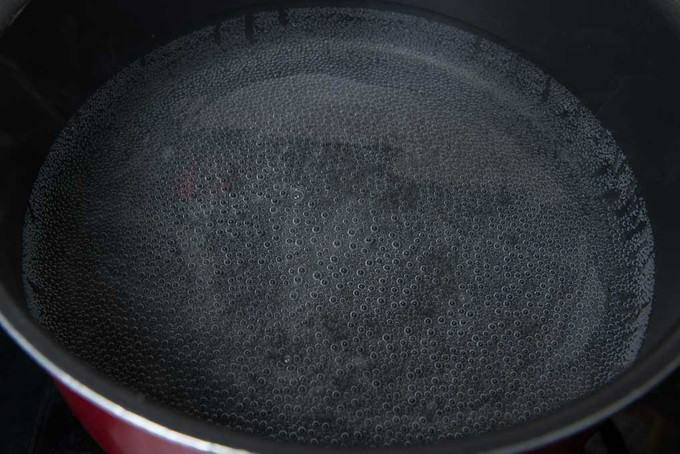 Heat water in a large pot and as soon as it comes to a boil, switch off the heat. 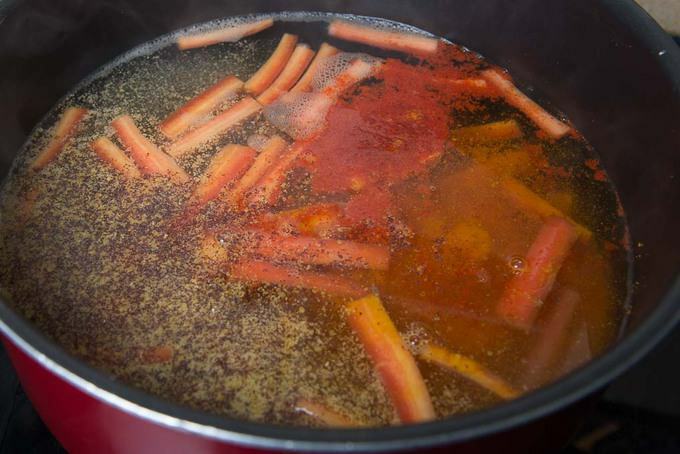 Add the carrots in the boiling water and cover the pot for 10 minutes. Add salt, turmeric powder, red chilli powder and mustard powder in the water. Transfer the Kanji in a glass jar and cover the mouth of the jar with a muslin cloth. Place the jar in the sun for 4-5 days for fermentation. Learn How to make Gajar Ki Kanji Drink using this super easy recipe. Gajar Ki Kanji recipe makes use of carrots in a very interesting way, as a delicious, spicy tangy fermented drink. It is a popular drink for Holi. Transfer the Kanji in a glass jar and cover the mouth of the jar with a muslin cloth. Place the jar in the sun for 4-5 days for fermentation. Bring the jar back inside at night and put it back again in the morning. Shake the jar everyday before keeping it in the sun. The Kanji will turn slightly sour once it’s ready to consume. Store it in refrigerator for another 6-7 days and serve chilled along with a few pieces of carrot. Always stir the kanji nicely before serving. Mam I have made kanji and after 5- 6 days i see white fungus layer on top the juice. I stirred it every next day. Is it ok to consume that? No, please discard it. 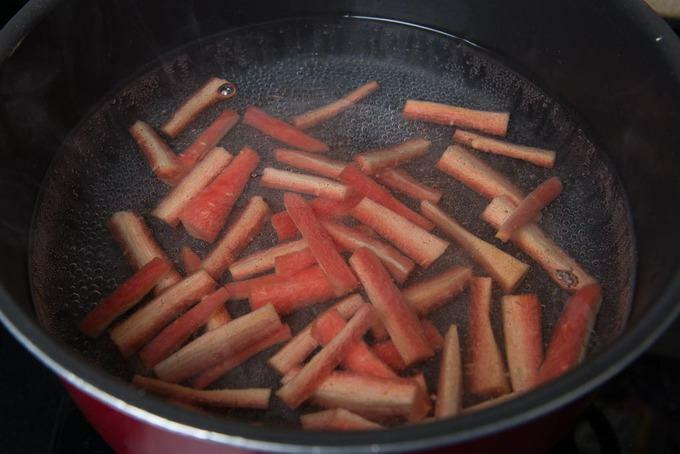 Making kanji is like pickling. You have to be extra careful about the cleanliness of the vessel and the spoons you are using to stir it.